I graduated from Nerinx Hall, a Catholic girls school run by the ever-progressive Sisters of Loretto in St. Louis. Since our 20th reunion, we’ve met every five years. We’ve met in the school cafeteria, a country club, and the home of one of our classmates. Sometimes we’ve had one event, sometimes two over a weekend. Certain traditions are included at each reunion. First, no men. We made that mistake at the five year reunion (actually held a year late) and decided it was too much trouble to entertain husbands or boyfriends. We have a lot more fun when it’s just us. Second, before we meet for dinner or brunch, we have a tour of the school to see the wonderful improvements and bemoan the old days of manual typewriters rather than iPads. And third, we start with Mass in the chapel at school. We used to have a priest celebrate it, but that became problematic. Now we have our own service, our way. The music changes, the readings change, but one thing is constant. During the offertory, a rose is presented in memory of each girl from our class who has died, starting with the one who died while we were still in school. The causes of death – cancer, automobile accidents, suicide, 9/11 – are rarely discussed. But the girls themselves are remembered. There have been times when we’ve gathered to plan a reunion when no one had died since the previous one. That will probably not happen again, though as far as I know, a year away from our next one, there’s no new rose to add. Sometimes the deaths have been well-known to the class. Sometimes we’ve been surprised because we’d lost touch with someone. But as we age, we know that there will be more. Maybe you’re one of those heading out of state or just across town to reconnect with old friends. Your focus may be on impressing people or just hoping to not embarrass yourself. But at most every gathering – no matter the length of time – you will be confronted with the knowledge that not everyone is there. The girl whose locker was next to yours, the one who passed notes to you in World History, the one with the curliest hair - one or more of them have died. Maybe you were close friends. Maybe you were in different cliques and just never made the effort to get to know each other. It doesn’t matter. At some point during your reunion, you’ll look around. You’ll marvel that everyone got older except you. And then you’ll remember those who did not make it to their 20th birthday, much less their 50th. They were part of you, part of growing up, even if they’re gone. So take a minute like we do. Recite their names, or include their pictures in the reunion program. Share a story. And include all your classmates in your reunion. I think this is an often overlooked topic regarding reunions and one that should be discussed. Life is fragile and much happens in a year, in a lifetime. 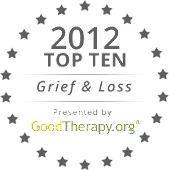 It is so important to honor those who have passed, especially to those who have had a close relationship with them. Thanks for reminding us! !